Even the most cautious of drivers can be involved in an automobile accident. If you are in a car accident, prompt investigation and information gathering are essential. 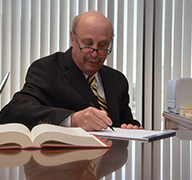 Having an investigator visit the scene to locate witnesses, take statements, get photographic and video preservations of vehicle damage (roadway damage if applicable), injuries, and preserve other evidence that may be related to the automobile accident, can make all the difference in the outcome of a case. Though they are important and often lay the foundation of liability, police reports are not always accurate. We have successfully represented many automobile accident victims where the police report was wrong and pointed at our clients as the person at fault. Michigan’s No-Fault Insurance Law makes automobile accidents even more complex. Regardless of fault in an accident, your insurance company is responsible for what are referred to as “economic” damages or First-Party Benefits. The technicalities and limitations of No-Fault law is not something you should handle alone. 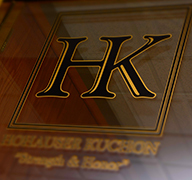 The No-Fault insurance experts of Hohauser Kuchon will help you receive benefits you deserve. If you or someone you know has been in a car accident, contact us today. Our consultations are free. 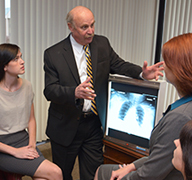 Our lawyers also make home and hospital visits free of charge. Watch as Michael Hohauser provides additional details on auto negligence law. Read Michael Hohauser’s article “A Tale of Two Widows” for more information on this subject.